This lavishly illustrated and very personal book covers the history of the battleship USS Arizona from her launch to her loss on December 7, 1941 when she was sunk during the Japanese attack on Pearl Harbor. 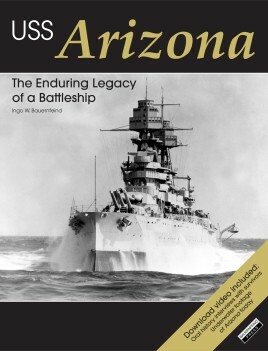 Learn about the ship’s enduring legacy firsthand as told by survivors, historians, enemies, sons of admirals, and people who have a personal connection to the Arizona. Moreover, this book provides a detailed examination of the Arizona’s wreck by archaeologists of the National Parks Service looking for ways to preserve her for the future. Learn about the tribute given by presidents and foreign dignitaries in order to honor Arizona’s fallen crew. The book includes a download video with oral histories by Arizona survivors as well as narrated underwater footage of the wreck. Born in Germany in 1976, Ingo Bauernfeind studied military and naval history, visual communication, and documentary film at Hawaii Pacific University, Honolulu. In Pearl Harbor, Hawaii, Ingo initiated and completed various museum projects in cooperation with the USS Arizona Memorial’s historian, Mr. Daniel A. Martinez, as well as the USS Missouri and the U.S. Navy. 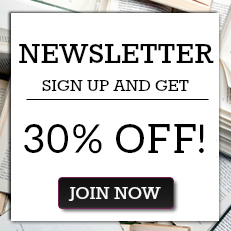 Over the years, Ingo has completed 30 books about naval, military, and aviation history and either directed or co-produced award-winning documentaries in cooperation with German and American TV networks. This includes various films about the Japanese attack on Pearl Harbor (First Shot & Killer Subs in Pearl Harbor) and the Pacific War. In addition, Ingo has been producing interactive museum guides for history and naval museums in Pearl Harbor and in Germany.